For the U.S. to sustain its presence in the Asia-Pacific, it will have to take local politics into account. Ergo the growing chorus among foreign policy specialists that sustaining the foundations of American global power will require Washington to get its own house in order. This is no doubt true, but resolving partisan battles on Capitol Hill is only half the battle. Washington will also have to be attuned to domestic politics on the other side of the Pacific to successfully execute and implement the U.S. pivot to Asia. This is particularly the case in the military domain, where the United States is pursuing a more geographically distributed force posture that is less reliant on major operating bases in Northeast Asia. Although threat dynamics open doors for the United States to strengthen security ties with allies and partners, Washington cannot rely on these dynamics alone to sustain its presence. In fact, the U.S. military’s ability to establish new arrangements in Southeast Asia and Australia, deepen them over time and sustain them in the long term will hinge on there being conducive political environments in host countries. Likewise, fundamental fissures in political support will cause agreements to be terminated, scaled back or forced into burdensome and sensitive realignments at enormous political, economic and strategic cost to the United States. U.S. policymakers need to remember that foreign governments permitting the access and presence of U.S. troops and military equipment are engaging in highly politicized acts that can evoke deeply rooted nationalist sentiments associated with sovereignty, independence and, in some cases, colonialism and occupation. This has been manifest in America’s modern experience in the region. The Philippine Senate expelled U.S. forces from Subic Bay and Clark Air Force Base shortly after the end of the Cold War. Accidents and incidents associated with U.S. bases in Japan and South Korea have also created public outcry and led to painstaking negotiations to realign U.S. forces. More recently, in 2009 leaders from the newly elected Democratic Party of Japan sought domestic political advantage by undoing plans to relocate Futenma Air Station on Okinawa. The issue to this day remains a thorn in the side of the alliance. With the U.S. military launching new access and presence arrangements in Southeast Asia and Australia, the Center for a New American Security conducted a yearlong study, the results of which were released this morning, examining ways to enhance the long-term political sustainability of these efforts. 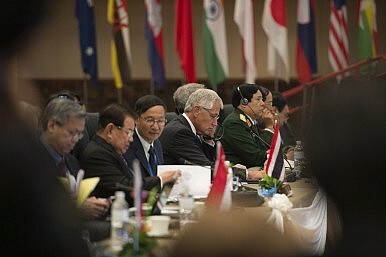 Discussions with current and former U.S. policymakers, scholars and industry representatives, as well as interviews throughout Asia with government officials, politicians, members of the media and academics, all underscored the importance of ensuring that force posture initiatives advance a broader set of U.S. foreign policy objectives, rather than serving as independent or isolated military capabilities. To garner the necessary support of key constituencies in partner countries, the development and implementation of military presence and access arrangements need to be integrated with and reinforcing of larger goals in U.S. defense and national security strategy in Asia. This includes: strengthening bilateral military and defense partnerships; building comprehensive bilateral relationships that include deeper diplomatic and economic ties; and advancing U.S. regional strategy and multilateral cooperation. This approach can contribute to establishing an affirmative rationale for a U.S. military presence while helping to insulate it from potential political challenges.